We take a look at how to put together a great customer service letter, giving examples to bring best practice to life. Here is a four-step approach to help improve customer service letters, as recommended by Fran Fish of Mazaru. Use simple, plain English. No jargon. Use headings and bullet points, so that the content is easy to follow and read. Answer all the questions that have been asked (and any that may come after). Get to the point quickly, as that’s the best way to reduce frustration and repeat contacts. Using the right tone, that fits the reader (or customer) and the reason you’re contacting them. We expect the tone used in an apology letter to be different from the tone used in a special-offer email. Keep it personal and human and consider if a letter or email is really the right medium. Sometimes a quick, good-old-fashioned call works best. Remember, while in most cases it is good to stick to a customer’s channel preference, it is sometimes best to pick up the phone. For example, if the customer has sent three or more letters over an issue, it might be best to pick up the phone to nip any rising customer frustration in the bud. As an example of how this four-part approach can be made actionable, below are two examples of customer service letters that were written by a car insurance company in response to the same customer query. The first response is how the company originally thought of replying to the customer, following their old procedures. The second example is a rewrite of the first, which was created under the guidance of the four-stage approach. The letters are responses to a customer query which asked: “Am I covered if my kids’ laptops get stolen out of the car while I’m holiday?” The customer’s query letter was signed off with both their first and last name. Dear Mr [SURNAME]Thank you for your enquiry. Personal Belongings cover is provided for the loss of or damage to (some) personal effects while in or on the insured car. The insured must take reasonable care of the property and this does not extend to money, credit or debit cards. The cover is also not provided for soft-top/open cars. The amount payable will be shown on the Policy Schedule. This covers you up to £300 per claim. Hi [First name],Thanks for getting in touch about your kids’ iPads. Sorry it’s taken me a little longer to reply. If the iPads were stolen from your car we’d cover up to £300 of their value. Tip: It’s worth checking to see if your home insurance will cover a higher value. put the iPads out of sight in the glove compartment, boot or roof box when you leave the car. I also need to tell you that we don’t cover theft from open and soft-top cars. You’ll find more information about what is and isn’t covered in our Policy Schedule online. If you decide to take out insurance with us, the fastest and easiest way is to apply online. If there’s anything else I can help you with, please let me know. How Has the Letter Been Adapted for the Better? Fran Fish takes us through how the rewrite is an improvement in terms of the “clear, credible, answered and tone criteria”. How Did Switching to the Four-Stage Approach Benefit the Car Insurance Company? Mazaru and independent researchers ICM shared both car insurance letter examples with 2,000 consumers. The consumers were asked to share preferences and ‘next actions’, when comparing the two letters. After reviewing the great results of the rewritten customer service letter, we wanted to create a template for a customer letter that was clear, credible, answered and used the correct tone. If it’s a reply, say thanks for getting in touch about [topic]. What does the customer want to know? Why have you sent them this letter? If it’s an apology, then say sorry here. Break up long chunks of text into short sentences. Stick to one idea per paragraph/sentence. This helps to keep things clear. Give the customer the info they need. Tell them what they should do and give them everything they need to do it. Please let us know if you need anything else. Let them know the best way to get information online or how to contact (and when). E.g. You can email us at [address] or give us a call on [number]. We’re here Monday to Friday, from 8am to 5pm. While many may question the use of templates, this example will help the contact centre to create a framework to make communication easier for advisors across all channels. It provides an easy-to-follow structure, while giving guidelines on where to personalise the response. Templates just need to be really well constructed, form part of an overall framework and be supported by training and QA (Quality Assurance). So, when we advise you to use a template, it is better to present guidelines in a structure like the example above. Avoid templates with most of the wording already filled out, which advisors are asked to: “[INSERT NAME]” or “[INERT LOCATION]”. We have come up with a list of letter-writing tips to be shared with advisors alongside the template highlighted above. Your customers don’t have to shop with you. Acknowledging this is a great start to the conversation. 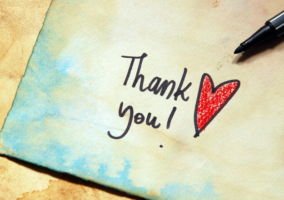 Straight after the thank you is given, get into the “meat” of the conversation by answering all the points in order of importance to the customer. After the initial thank you, it doesn’t hurt to continue to stress that “your business is very much appreciated”. As a customer, you don’t feel like you are being taken for granted. It is best for an advisor to write as if they were explaining things to a friend or family member. So, try to break up long chunks of information into short sentences, stick to one idea per sentence and use simple words instead of complex phrases and acronyms. In long letters, headings can be a great way to segment the text and improve structure. Also, while it’s good to break up large blocks of information into simple sentences, bullet points are also useful, as they help to provide a better visual impact than big paragraphs of information. If you open up a letter and all you see is words and long paragraphs, in the first instance, it’s hard to understand what’s important. There’s a lot of confusion about what “professional” means in letter writing for customer service. Many believe “we need to sound and write as a professional company”, yet this is a common misconception and often leads to companies being overly formal. The trick is developing a tone of voice that fits your brand. Train advisors to be warm, empathetic and positive and you’re halfway there, while using active language instead of passive language is also important. Active language helps to take ownership of the customer query. You can test that you’re writing in the active by adding the words “by robots” to the end of each sentence. If the sentence still makes sense, it is written in the passive. However, if it doesn’t, it is written in the active. To add value to the letter, direct the customer to any additional documents or guidance notes. This can help the customer to easily find information for themselves and prevent them from having to write to the contact centre again. In turn, this helps to reduce repeat customer contacts. However, make sure further reassurance is offered, so the customer feels happy to contact again with another query. While this won’t be applicable to all query types, offering next steps and time expectations is key when handling complaints, as they help to reassure customers. 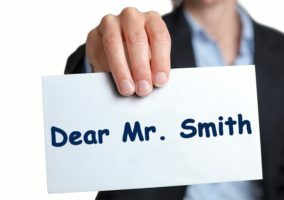 Promotional offers, thank-you letters and booking confirmation don’t necessarily need “next steps” and, in some cases, offering them in a letter may increase contacts. The template presented earlier gives further reassurance to the customer, offering them the chance to contact again and presenting further contact details. This helps to open the dialogue further. Most customers are familiar with the feeling of dread that comes with making a complaint to a company… How long will I wait on hold? Will they believe me? Will my issue be resolved? Opening up the dialogue early and promising a positive response helps to remove this worry from any follow-up contact that may be necessary. 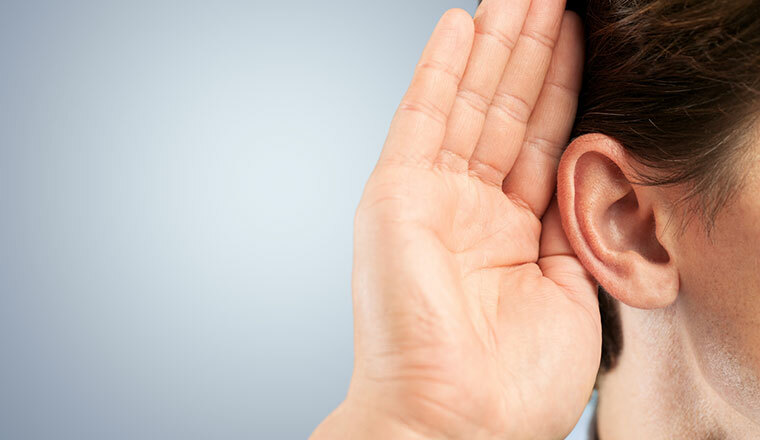 Customers like to feel as though they are being listened to. In fact, it is a basic expectation. So, try to use the same words as the customer did when describing their issue, to underline that they have been listened to, and mirror their preferred language choices to build rapport. Also, see how the example template asked the advisor to say “thanks for getting in touch about…” The “about section” is important as it offers the advisor the opportunity to demonstrate that they were listening, while it also helps to personalise the letter. Encourage customers to give feedback for the benefit of the community and to help future customers in their purchasing decisions. By doing this, the advisor can help to reassure customers that the time they spend giving feedback isn’t just a “back-patting” exercise. The letter has to have a logical flow. You don’t want to be sending out letters that start with “sorry” but end with a promotional offer. This will only frustrate an already disappointed customer. Below are three great examples of different types of customer service letters. Here is a good response to a customer complaint about their credit profile. Thank you for getting in touch with us about your credit file. After looking into this for you, I’ve included my findings in this letter. It might be easier to talk about this over the phone, so please give me a call if that would be helpful. I did try to call you a few times on [date] and [date] but couldn’t reach you. You’ve been in touch with us because you believe we have registered “default” or “repossession” on your credit file. I’ve checked your payment history between [date] and [date] and found that each payment has been made on time. I could also see that you made your final payment of [£amount] on [date], which settled your account early. I can confirm that we have recorded each payment, including your final settlement, as “paid on time” and have not registered a “default” or “repossession” against your credit file. I hope that this answers your question and addresses your complaint. If you’d like to discuss this with me over the phone, please get in touch. You’ll find my number at the top of this letter. In this example, a customer service letter is used to warn residents of repair and maintenance work. We’re carrying out some work in your street. We need to do some important repair and maintenance work outside [address]. This means parking will be restricted – we’ll put out cones to show you where you won’t be able to park. 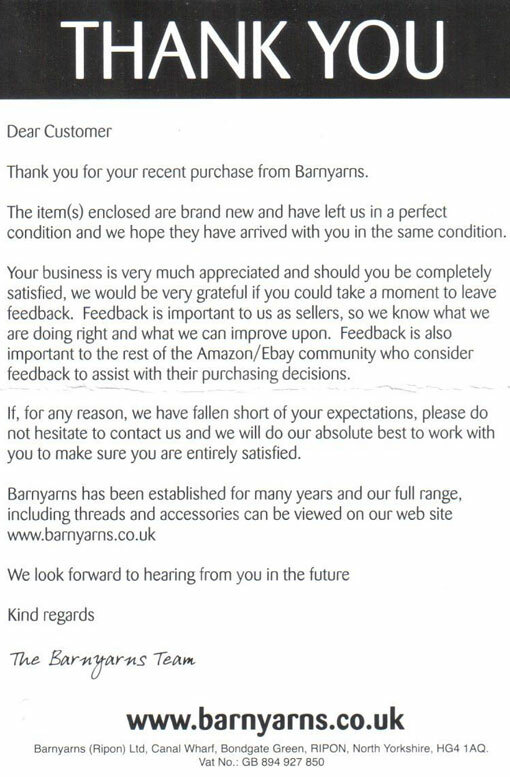 While this may not be a perfect letter, there are many things to like about this customer service letter, created by Barnyarns. Thanks to the Barnyarns team for sharing this example with us! …And 2 things they could improve on? Signing off with “Charlie from The Barnyarns Team” would have given it a bit more of a personal touch – especially if this was handwritten! Thanks to Mazaru for sharing each of the letter examples that we’ve used in this article. Originally published in February 2016. Recently updated.